You know? Like both feet together, straight down, off a brick ledge from a height about three times my own. I bet it's super smooshy, just like a Goomba should be. 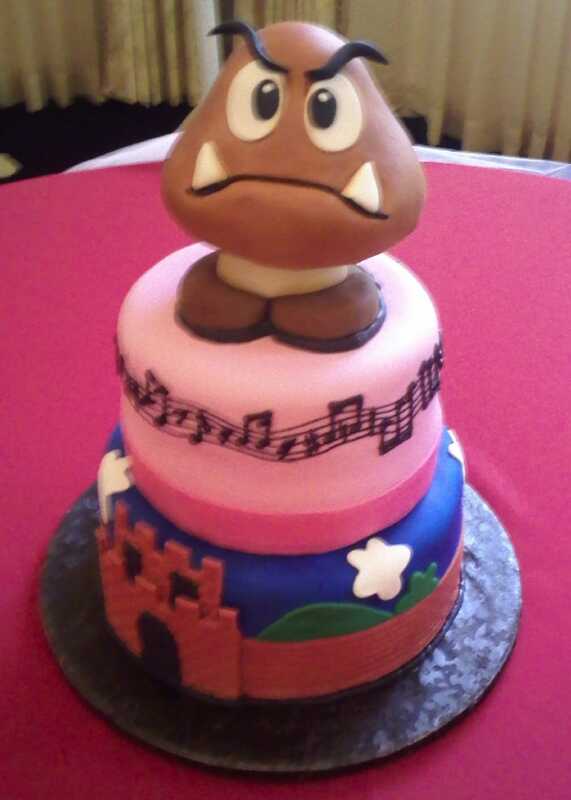 Reader Joe M. sent in this gamecake - it was the wedding cake for his friends' recent ceremony. It came with just a minimalist description - I'd love to know if the music drawn on the second layer is the Super Mario Bros. theme.